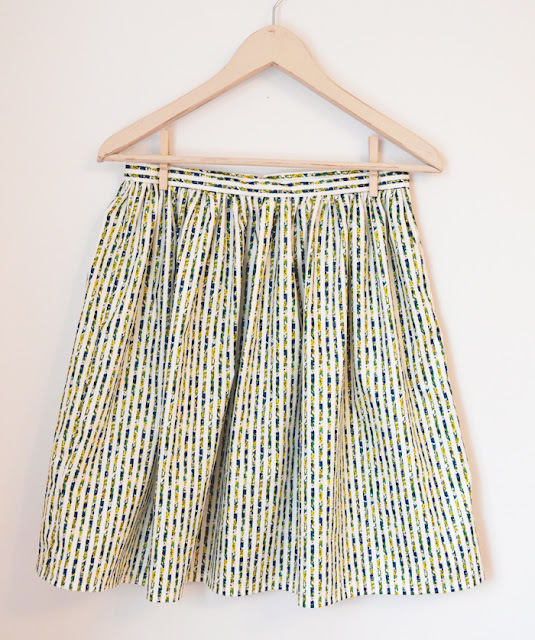 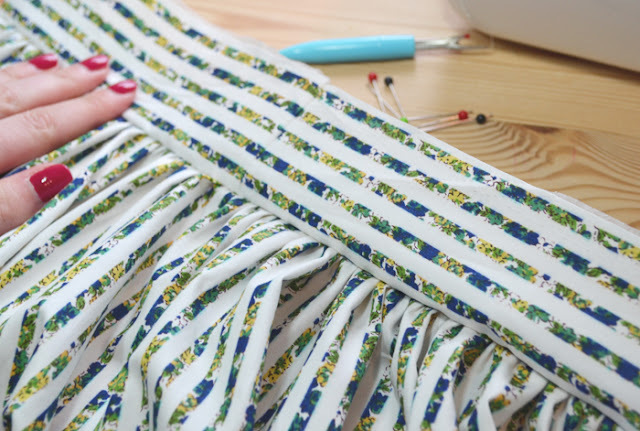 Made by Me | Easy Summer Stripe Pleated Skirt – no pattern required! it the perfect length for work and in my choice of cute summery fabric. 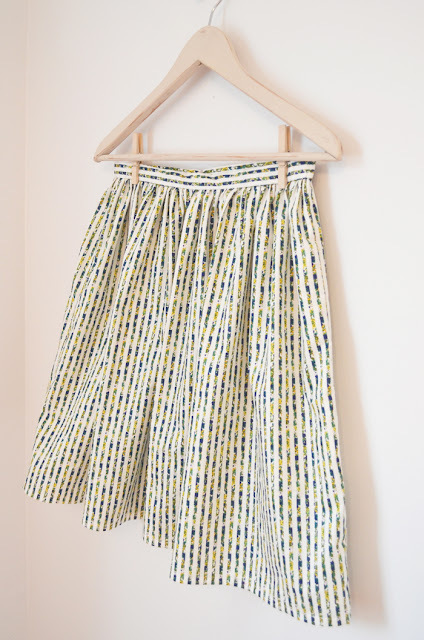 for this type of summery pleated skirt. 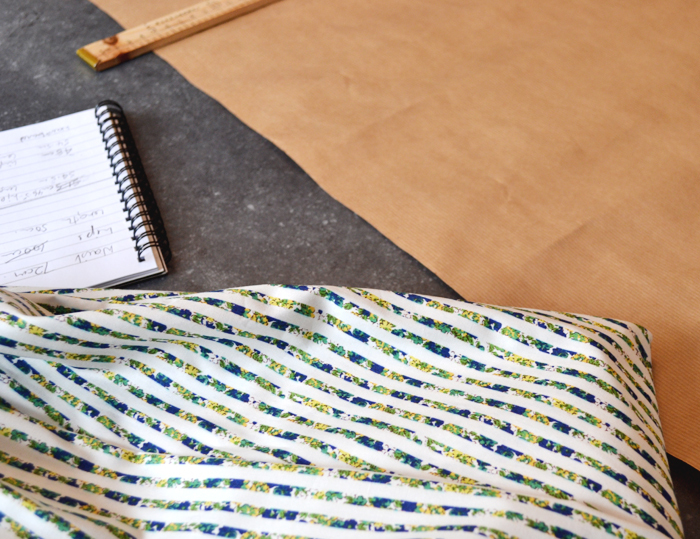 to your shape and taste. 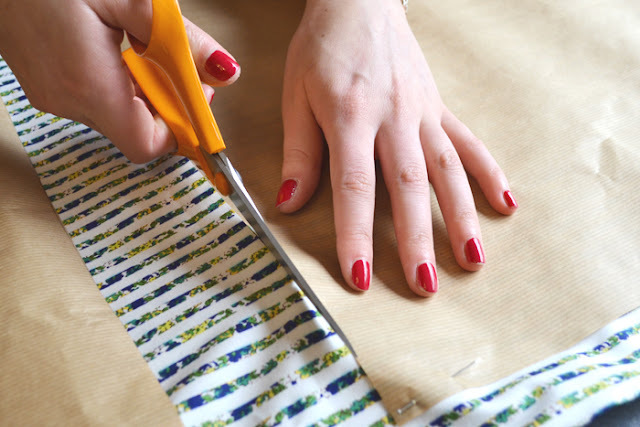 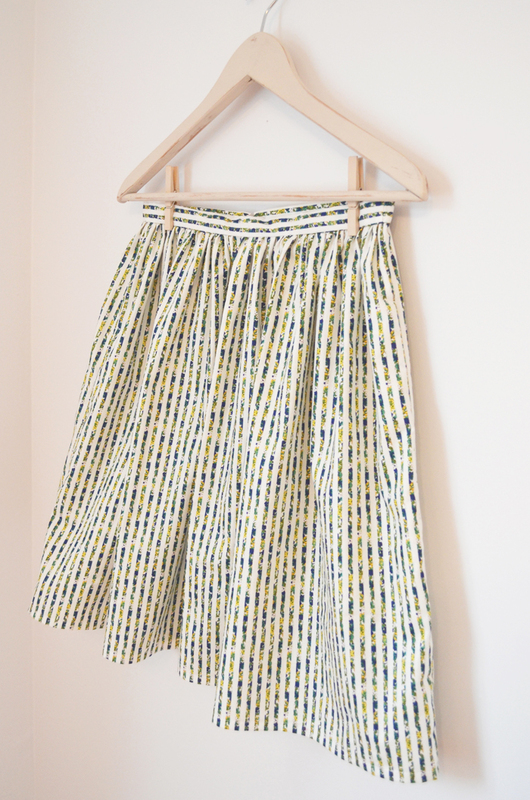 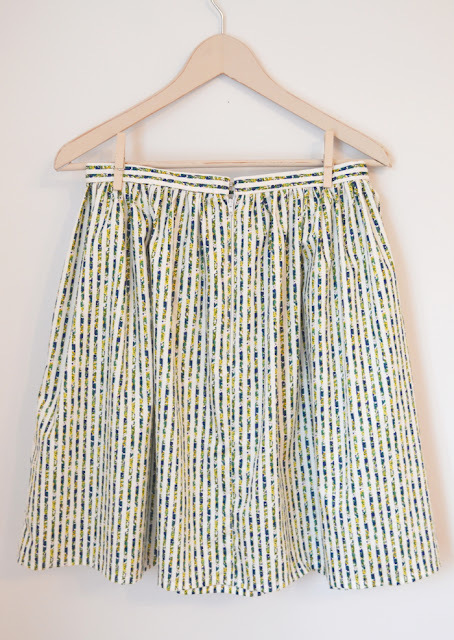 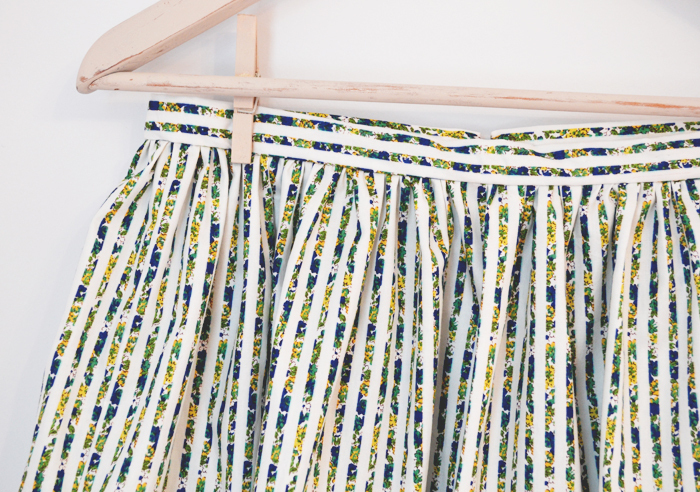 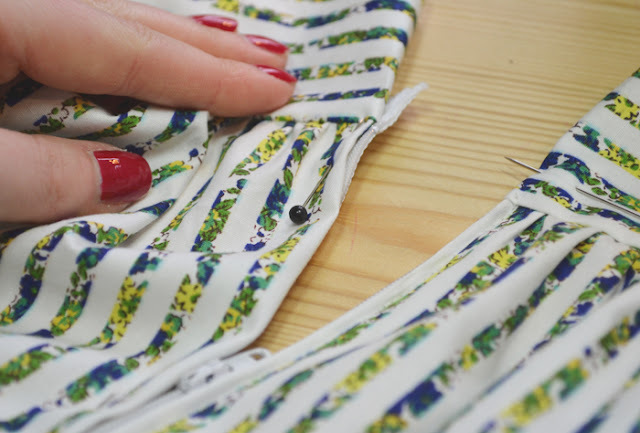 Here’s how I made this summer pleated skirt.. 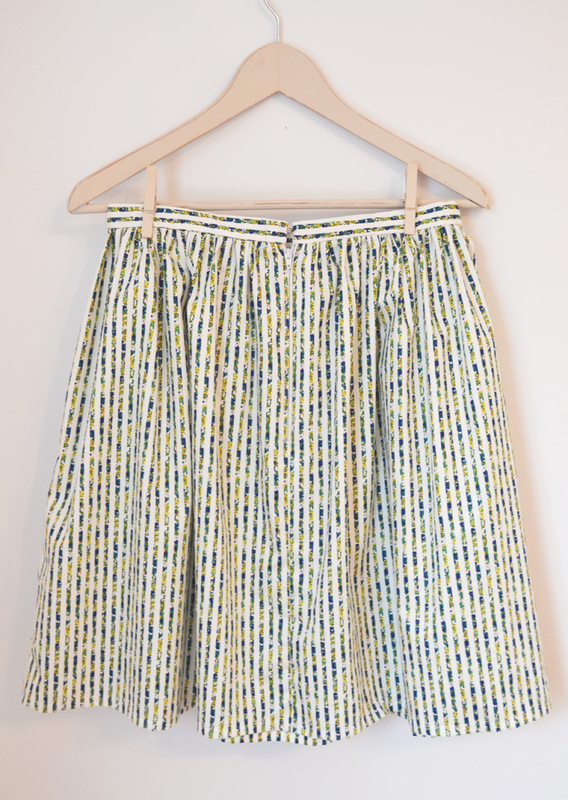 I measured my waist, hips and how long I wanted my skirt to be from my waist. 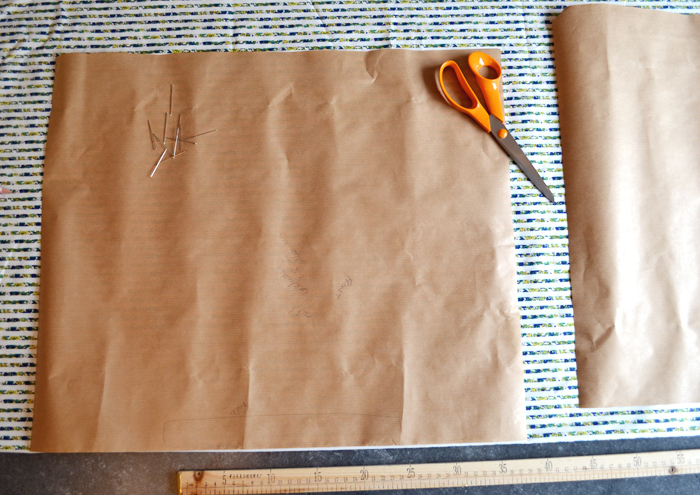 I then made my pattern from brown paper using these measurements. 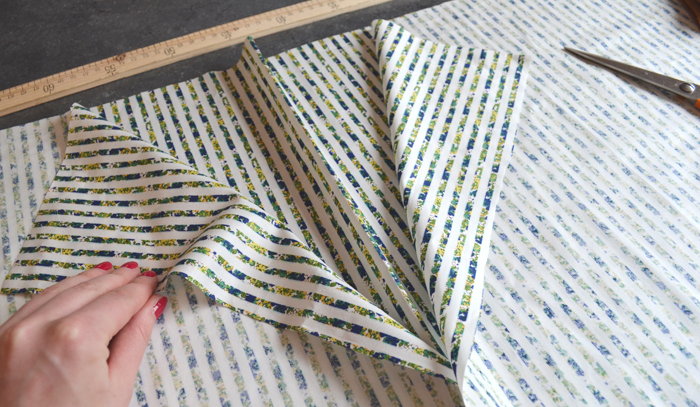 Same as front just add seam allowances to both ends and cut two pieces away from the fold. Waist measurement halved and placed on fold. 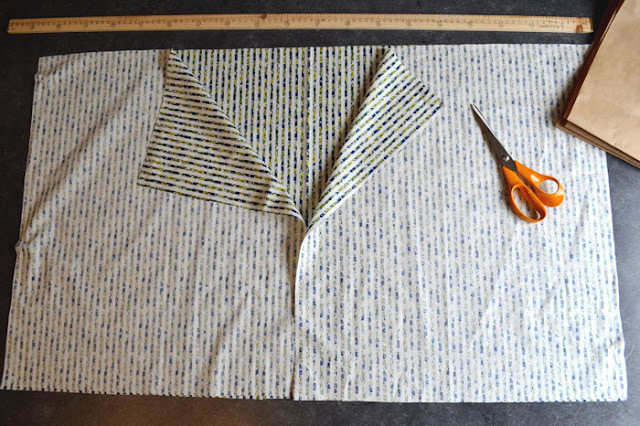 After pinning and cutting out the squares I placed right sides together and sewed down the sides seams, leaving the back open to insert the zip. I created the beautiful full pleats by gathering the top edge, pulling three running stitches until it fitted the waist band. 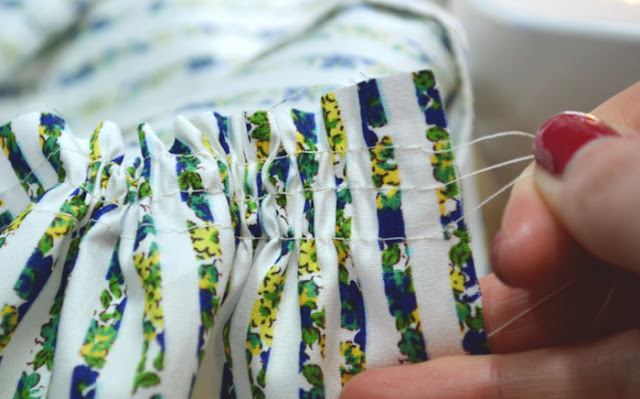 I then pinned it to my waistband with right sides facing. 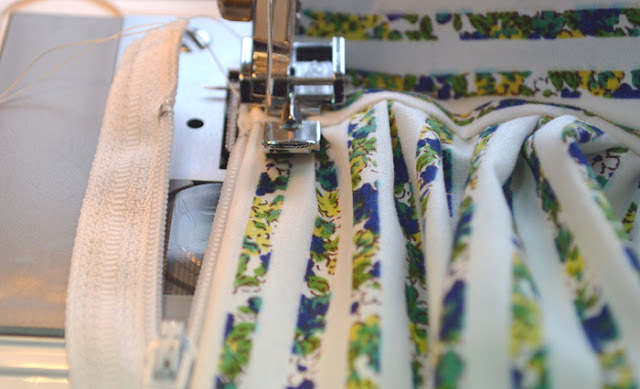 I find the easiest way to insert a zip is by sewing it facing up towards you and using a zipper foot. 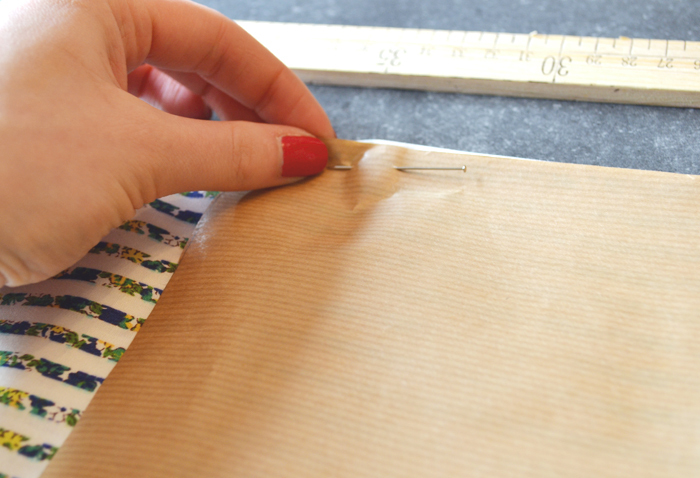 It isn’t completely invisible but has a tidy little flap on each side. 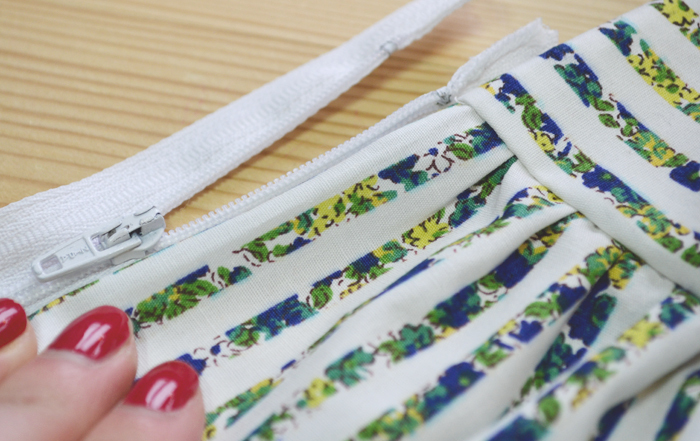 I started on the right side of the zip, opening it up and getting as close to the teeth as possible. Once at the bottom I released my foot, pinned the left side and closed the zip before sewing down the left side. 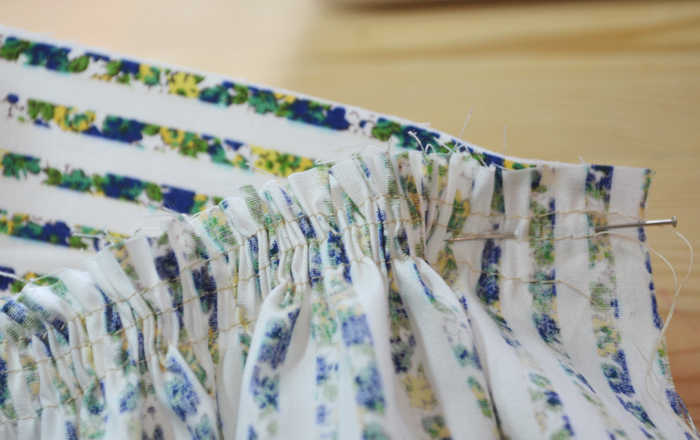 I then sewed the remaining back seam from the bottom. All that was left to do then was hand sew the waist band to the inside, attach a hook and eye and hem it to the right length. 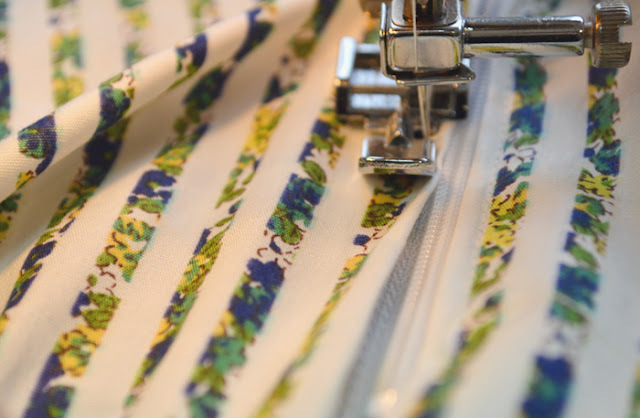 As this skirt was made from straight rectangles it was easy to just turn the hem up an equal amount all the way around to enure an even hem. Easy! 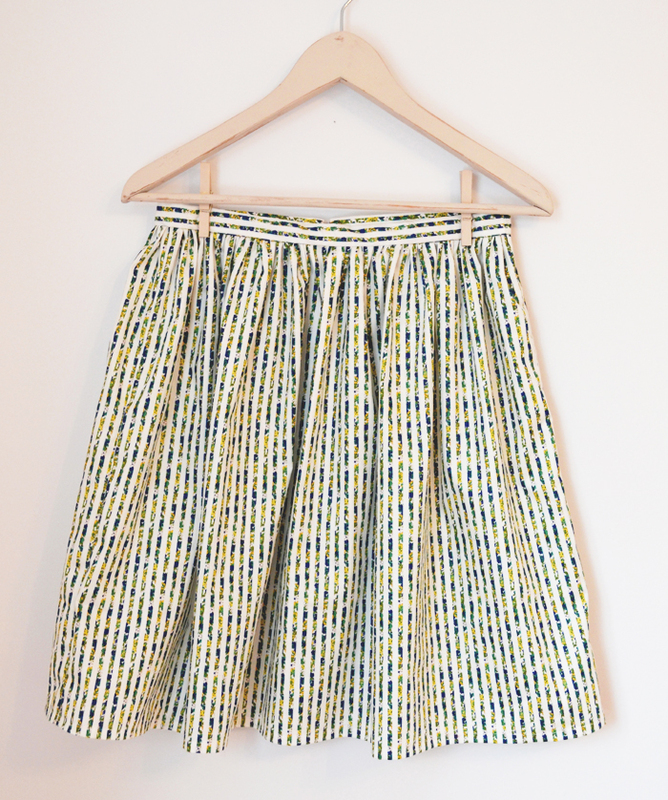 I completed this skirt in just a few hours over a few nights. 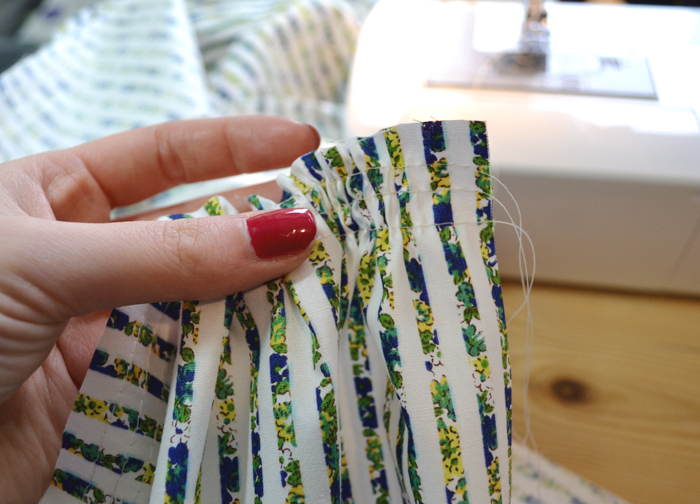 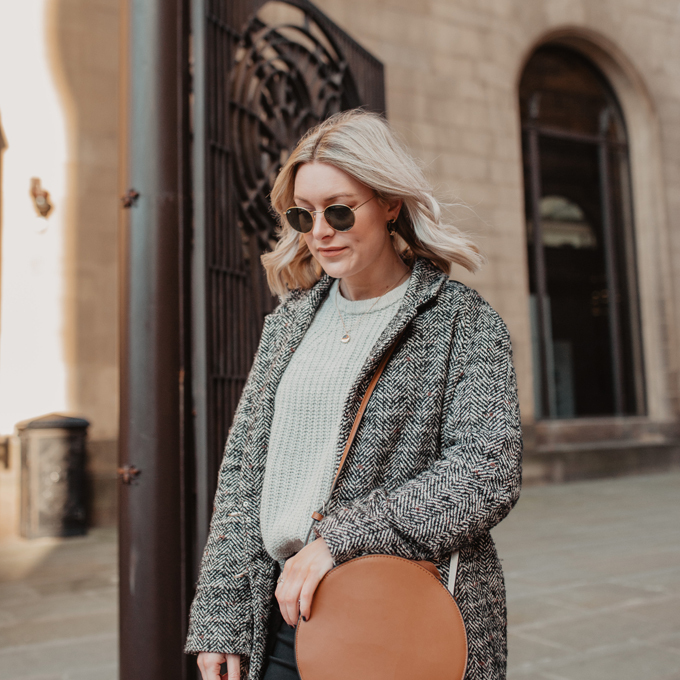 The style is really easy to wear as well, I think I might have to make more in different prints as I love it so much! 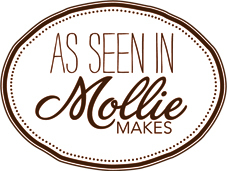 I would love to know your thoughts or hear if you have made anything similar. 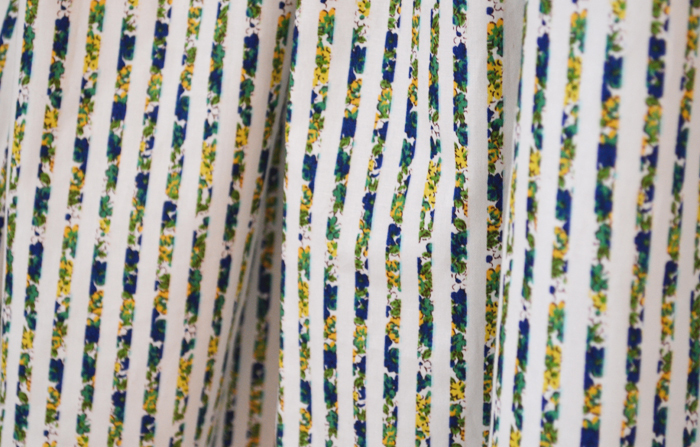 What is your favourite summer print? Follow me on twitter (@annabirty90) or instagram (madeupstyle) for more handmade loveliness! 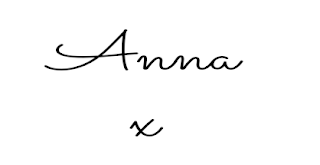 Visit Anna | Made Up Style ‘s profile on Pinterest.